So, can horses really suffer from hay fever? The summer holidays are flying by, and before you know it kids from across the country will be heading back to school with their new uniforms, ready to learn new things – and catch new colds. You know what it's like, within the first three weeks, every child has brought a bug home to spread around the rest of the family. Fun times. But did you know the same thing often happens with young racehorses? Around 80 per cent of two-year-olds will catch a cough or cold at some point during the season because, like school children, they are suddenly exposed to all kinds of different bugs when mixing with new racehorses, either in a busy yard or at the track. This is exacerbated by the fact that in full training they are undergoing new forms of physiological stress, which can also make them more susceptible. The symptoms are similar to that of a human cold – a runny nose, cough, raised temperature – but don't panic if a horse snorts on you while you're choosing paddock picks, people can't catch equine colds, and vice versa. Horses can also catch the flu (from each other, not us), which is much more serious than a simple case of the sniffles – this is why in Britain and Ireland, all racehorses must be vaccinated against it. Just like human flu, there is no treatment for the virus itself, just the symptoms. These include a very high temperature, a dry cough that can damage the airways, nasal discharge, swollen glands, depression and loss of appetite – all fairly similar to the human version, with the exception that horses cannot vomit, one of the many delightful effects of our flu. A horse's inability to vomit is one of the reasons digestive issues in horses can become very serious very quickly. Horses also don't sneeze when they have a cold or the flu. They will regularly snort, possibly all over some unfortunate soul standing nearby, but this, besides spreading the bugs, is the horse equivalent of nose blowing – they just don't have the thumbs required to do it into a handkerchief. Here’s a snort, not a sneeze . . . Persistent snorting may also be a symptom of equine inflammatory airway disease, a similar affliction to hay fever. 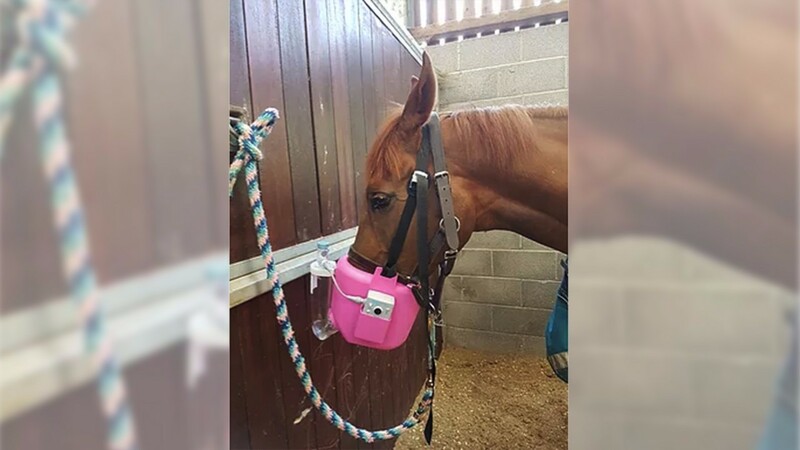 In May both Jo Davis and her horses were suffering from a high pollen count – while the trainer dosed up on Piriton (other antihistamines are available), the horses were treated with nebulisers, which cover the entire mouth and nose. "It's a bit like steaming yourself and opens their airways," she said. "It's very good for them." As highlighted in a recent disqualification case, human antihistamines contain drugs that are banned on racedays. Extra fun fact: although the nebuliser covers the mouth, horses can only breath through their nostrils – which is why you don’t see horses panting after a hard race, as you would with dogs. Mild respiratory disorders are not uncommon in yards, and although rarely life-threatening, they can have a severe impact on performance. When trainers talk about having 'the virus' it could mean nothing more serious than a bout of the sniffles, but can also cover a whole host of other ailments. In that sense, it is a catch-all term, much like how we sometimes describe ourselves as having caught a bit of lurgy. While stable staff aren't going to suffer from 'the virus', there are some diseases that can be passed from horse to human. At the mild, if still gross, end of the scale, those working with racehorses who have ringworm could also catch it. A fungal disease, ringworm results in skin lesions and hair loss, and is highly contagious between horses – not only via direct contact, but through use of contaminated tack, grooming equipment or human clothing. The fungus can also survive for long periods on timber structures such as stables or fence railings, so strict hygiene protocols must be put in place to prevent the spread – which happens much easier than horse to human. Horses with ringworm are banned from racecourses, unless they have a certificate of non-contagiousness. At the extreme end of the scale, serious diseases that can affect both horses and humans include anthrax, rabies (although not in Britain and Ireland), salmonella and E. coli, but the chances of transmission are highly unlikely – for instance, horses affected by rabies become depressed and lethargic, rather than displaying the rabid behaviour often seen in dogs. 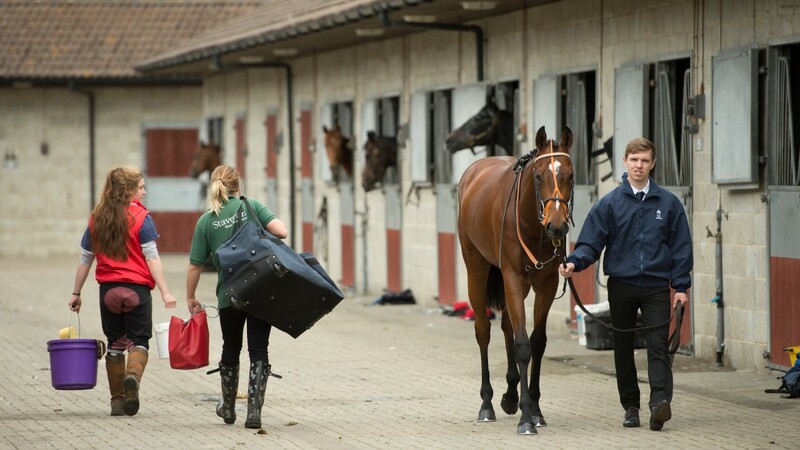 But before all this puts you off going racing for fear of catching anthrax from racehorses disguised as chemical weapons, remember this: racehorses are elite athletes, and as such receive the very best care and attention from trainers and stable staff. Their health is monitored daily to spot any minor signs of potentially larger problems, from checking their weight to taking blood samples and nasal swabs for full laboratory analysis. In addition, racing is at the forefront of veterinary research, thanks in large part to grants from the Levy Board. For instance, Levy Board-funded research helped develop a vaccine against strangles, a particularly nasty disease likened to human plague. Of course, you're not going to catch the plague going racing – nor any other horse-borne disease. You might catch a cold from standing in the rain thanks to this abysmal summer, or suffer a hangover from one too many beers, but those fit-as-a-fiddle racehorses are more likely to do damage to your wallet than your health. Racing Revealed: how much does a jockey really earn?